A battle is emerging between mayoral candidate rivals in Hoboken with Assemblyman Ruben Ramos exchanging fire in his criticism of Mayor Dawn Zimmer surrounding the City's legal strategy and bills. Ramos focused his criticism specifically on lawsuits which have not ended in Zimmer’s favor, including Friday’s decision and a ruling last month regarding the uptown Monarch development. 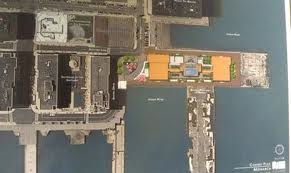 The developers originally promised to build tennis courts for the city but later reneged on the offer and proposed building two luxury condominiums. A judge ruled that the city's suit to force them to stick to their original plan. In 2008 the City’s budget was found to have not included $12 million of undisclosed expenditures resulting in a State takeover of the City’s fiscal affairs. Since 2008 as the result of my work, as well as the work of Judy Tripodi, the State Fiscal Monitor, the City has an honest, fully funded budget in which one shot revenues are not used to balance the budget. The practice of using one shot revenues to cover recurring expenses has ended in Hoboken. My Administration, unlike previous Administrations has also been diligent in defending the City’s interests both by fully defending litigations that are brought against it, and initiating litigation when appropriate. The recently settled URSA litigation is a case in point. A redeveloper agreement entered into by a prior Administration promised benefits to Hoboken residents that were never fully delivered. As a result of the City’s effective use of the court system, the City received $1.5 million dollars and one acre of land in NW Hoboken. Had the City not resorted to litigation, it would have received nothing. The benefit of this one litigation far exceeds the entirety of the City’s annual legal costs. As another example, the City spent $500,000 in legal fees saving Hoboken’s then bankrupt hospital from closure. This also saved Hoboken taxpayers from a fiscal disaster that nearly resulted in the call of a $52 million bond guarantee that could have bankrupted the City of Hoboken. Entering into the guarantee cost nothing in terms of the legal expense, saving the City from the disastrous potential consequences of having entered into that guarantee cost over $500,000 in legal fees. I will always live up to my fiduciary responsibility to protect the interests of the City of Hoboken and its residents and will never jeopardize those interests by depriving our residents of proper legal representation. In fact, over the last 12 months we have won or favorably settled 92 percent of our resolved cases. The fact that the City has been unsuccessful in a few litigations is not an indication of whether our total legal costs are necessary or appropriate nor is it even an indication as to whether that individual litigation was necessary or appropriate. For example, I do not know whether the City will ultimately succeed in its litigation with regard to the Monarch project, but I do know that using all the tools that we have available to protect the rights of Hoboken residents is the right thing to do. I will forward the backup information confirming this information. mayoral candidates Ruben Ramos and Mayor Dawn Zimmer.